Although many holidaymakers spend a lot of their time relaxing on the beach or by the pool, for the more active there is plenty to occupy your time, particularly if you enjoy outdoor pursuits. The dramatic landscape takes your breath away when simply driving around the island but to get out and about on foot, bike or horse enables you to discover the island more intimately. For those with enough determination and stamina, the views from some of the coastal roads and mountain tracks are breathtaking. 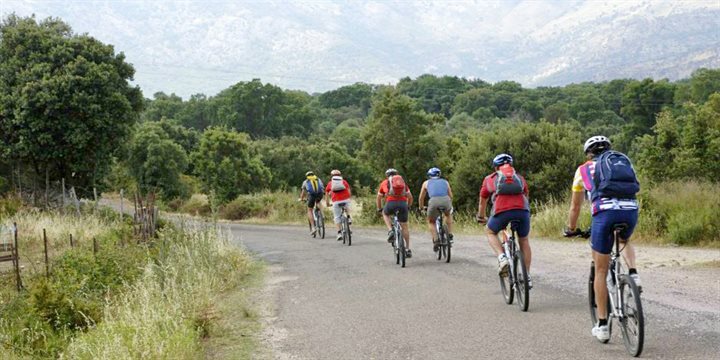 Because of the rough terrain, mountain bikes (vélos tous terrains or VTTs) are preferable over other types of bicycles and can be hired in Ajaccio, Bastia, Calvi, Porto and Propriano. Thanks to a virtual absence of pollution, Corsica's coastal waters rank among the cleanest and clearest in the Mediterranean. For divers, the marine landscape mirrors the island's mountainous interior, with sheer drops and rock formations as well as a seabed rich in flora and fauna. Corsica is a water lover's oasis and is one of the best places to dive in Europe - the legendary clarity and temperatures of the water easily passing for tropical. Corsica's inlets and beaches are numerous and the island possesses 30 diving centres dotted along its 1000km coastline. Corsica's interior is ideal for river fishing and sea fishing is possible from many of the seaside towns. Freshwater fishing is permitted in all of the island's rivers and lakes with a valid fishing licence which can easily be obtained from a local fishing club - our Representatives or tourist offices can tell you how to contact them. A permit is not needed for sea fishing provided whatever you catch is for your own consumption. The waters around Corsica are teeming with fish, among the many species unique to the Mediterranean are the brown grouper (mérou) which can grow up to 1 metre in length. Other species commonly found off the coast of Corsica are rainbow wrasse, John Dory, forkbeards, moray eels, damselfish and scorpion fish. If you have a passion for golf then you must visit the spectacular Golf de Spérone, located on a breathtaking site at the southern tip of Corsica overlooking the Mediterranean, the Bonifacio Strait and the tiny islands of Cavallo and Lavezzi. The golf course is the centrepiece of an attractive residential and resort community, which features sleek, modern glass and wood villas that contrast perfectly with the nearby medieval fortress town of Bonifacio. Recognised as one of Europe's best golf courses, the exceptionally scenic 18-hole Spérone really does have something special to offer. Regularly in the top 100 of Golf World's best it is definitely well worth the trip! As a Robert Trent Jones design (although his European partner Cabell Robinson did the actual work) the course combines 12 inland holes with gorse and heather, with six stunning holes along the coast and seaside cliffs. Although Corsica has no other 18-hole golf courses there are 9-hole golf courses, and Golf de Spérone can be perfectly combined with another Robert Trent Jones Sr masterpiece at the Pevero Golf Club in Sardinia. Situated on the Costa Smeralda, at the northern tip of the island, Pevero is a short ferry crossing across the Bonifacio Strait which separates Corsica from Sardinia. Corsica's temperate climate and range of natural habitats provide an ideal environment for horseback riding and there are many opportunities for both novice and experienced riders across the island. There are 1,900 kilometres of bridleways (randonnée équestre) criss-crossing the island giving unrivalled views of the beautiful landscape. Galloping across windswept beaches or riding some of Corsica's hidden pathways have got to be a must for horse lovers. Escorted treks of differing lengths can be booked ranging from two hours to a whole day or even longer. 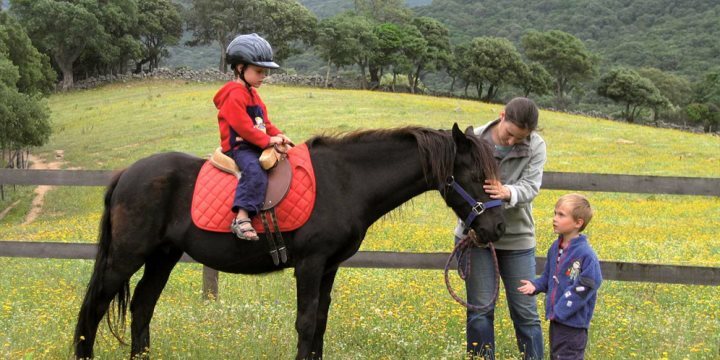 There are a number of opportunities for horse riding in each of our regions, from rides where you swim with the horses on one of the island's most beautiful and remote beaches of the Balagne, to a trek into the mountains including a picnic lunch near Corté. Adrenalin sports are plentiful in the island’s interior. Corsica has an abundance of waterways due to the heavy snowfalls experienced during winter in the high mountains; as a consequence in spring the water levels of the rivers rise to provide exciting white water opportunities for canoeists and rafters, experts and beginners alike, with some splendid and spectacular descents. Or why not try canyoning? An adventure sport involving following streams and rivers on foot, with abseiling descents and swimming involved. The operation of canyoning is dependant on appropriate weather conditions and the level of the water in the river. The activity is not operational at times of particularly high (or low) water and we suggest you contact the operator earlier in your holiday rather than later, in order to avoid disappointment. Companies have qualified guides and the necessary equipment but participants should have a reasonable level of fitness and be competent swimmers. While not possessing the prestige of the Alps, climbing in Corsica can be impressive, with everything from short cliffs to challenging climbs, the pinnacle of which are the Bavella needles. Within an hour's drive of the coast, the valleys around Corte offers some of the most exhilarating rock climbing opportunities in Europe, with superb views over the surrounding mountains and valleys. Many of the climbs are quite technically difficult and require a degree of competence and fitness. For short climbs the island's chalk cliffs are the most rewarding; these run in a seam from L'Ile Rouse (on the northwest coast) to Solenzara (on the east coast). Corsica is an absolute must for a sailing adventure and to sail along the beautiful and untouched coastline of the “Ile de Beauté” is a dream of many. The panorama of this stunning and dramatic island is certainly best appreciated from the deck of a yacht, exploring secluded bays, hidden coves and majestic gulfs. Boat hire and sailing trips are available from a number of locations around the coast. If you really want to escape the stresses of the day-to-day life, spend a week sailing around the Corsican coast in addition to a land-based week on the island on one of our twin centre sailing holidays. With your own skipper, who knows Corsican sailing waters like the back of his hand, you will be shown some of the many wonders of this 'Mountain in the Sea'. Chartering means renting the whole boat (whether yacht or catamaran), and taking it sailing for a week with a skipper. Having a skipper is an invaluable way of making your holiday an enjoyable experience and charter boats are available from Sunday through to Saturday. The options are endless for a twin centre sailing holiday. Every day can be varied, and depending on your experience, you can have as much or as little involvement in the sailing itinerary as you wish. Please call or contact us by email at activities@corsica.co.uk for a holiday tailor-made to your requirements. If you are looking for independence and prefer to spend your holiday travelling the island rather than staying in one location, we offer a number of itineraries selected from hotels in our brochure. Alternatively we can help you put together a tailor-made tour. Touring holidays can be taken by themselves or added onto a week staying in a villa, apartment or hotel, allowing you to have a relaxing week in one place and then leaving to explore other areas. We can tailor make a tour to suit your needs and wishes. Our reservation team can also use their knowledge of the island to advice on travel times, make suggestions on regions to visit and assist you in choosing your hotels. Due to the increase in traffic on Corsica, touring is only available outside of the peak months of July and August. An eco-friendly way of discovering the immense and mountainous interior is by hiking. For serious hikers the GR20 is a must, but anyone will enjoy the stunning scenery and there are numerous shorter options available all across the island. Whether you wish to make your own tracks and go at your own pace, or go as part of a group, we can help with the arrangements. Corsica will captivate those who enjoy walking, as hiking is one of the key attractions of the island, along with its beaches. 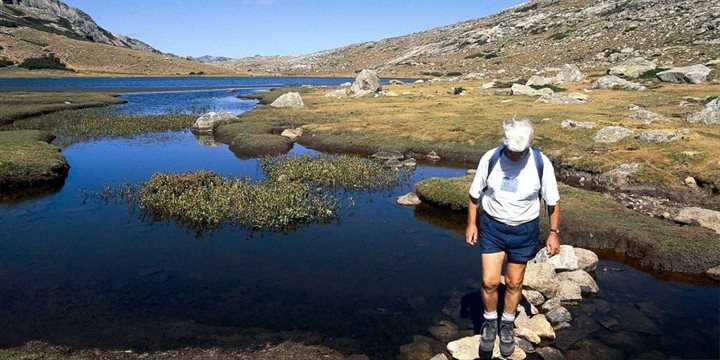 With some impressively high peaks, breathtaking scenery and unspoilt countryside, Corsica can be greatly appreciated on foot and there is sufficient variety to match walkers/hikers of all levels. There are many footpaths that have been created to start from the sea and head to the mountains 'Mare é Monti' or those that travel coast to coast 'Mare é Mare'. The main walking season is between mid-May and early July and in September. The constant presence of the wind attracts windsurfers to Corsica, and the strong winds that whistle through the straits of Bonifacio are some of the best in the Mediterranean for expert windsurfing. The island’s Mediterranean climate and varied bays and beaches also offer superb opportunities for swimming, rock swimming and snorkeling. The bigger bays of the west coast and the southeast are the main centres for windsurfing as well as dinghy or small catamaran sailing. You can usually hire equipment, from an hour upwards, from fully licensed sailing clubs and many centres offer tuition. Please be aware that without the appropriate licence, you will only be able to rent a motorboat with an engine up to 6cv. A boat trip as a passenger is a more relaxing introduction to the best of the coastline. Vedettes, pleasure boats that also operate as ferries, depart from St Florent to the marvellous beaches of the Désert des Agriates; glass-bottomed boats run from Porto and Calvi to the Scandola marine nature reserve.